Using flowers in a wedding is something that never goes out of style, and finding a flower shop for the job isn’t hard. However, experience matters in how unique and attractive the floral designs are. It pays to find creative florists who know what works for a particular venue. Not all bouquets are going to work in every venue you find in Sydney or Melbourne. 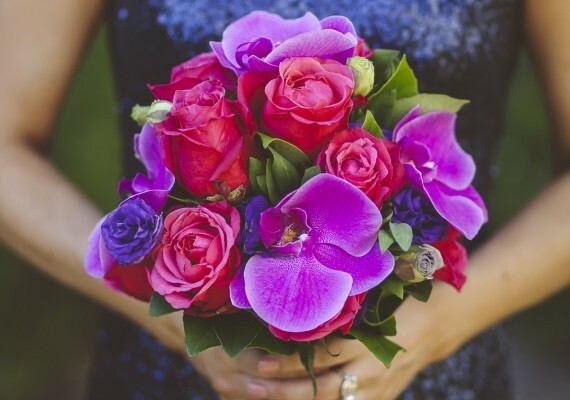 Check out Sydney Wedding Flowers Best Buds to make the right decision. If you’re getting married in Sydney soon, there isn’t any better floral design shop to consider than Best Buds. For Sydney wedding flowers, Best Buds combines the utmost in creativity while offering years of experience. They’ve been around for over a decade and continue to bring simple or complex floral designs for weddings at affordable prices. So how can you mix your wedding entertainment with the bouquets you choose at your wedding venue? While Best Buds is an independent floral company, they’ve contracted with various wedding venues throughout Sydney. Some of them are venues those of us at Lily Road write about often and where we often book our entertainers. Places like Grand Pacific Group and their luxurious rooms (plus related venues) are some of the names you’ve probably heard about. Other venues they work for include Taronga Centre, a place we’ve written about extensively. It’s a perfect location if you prefer being around wildlife (from the Taronga Zoo) for outstanding photo moments. Best Buds also works for Dockside Group and Water @ Pier 1, the latter being the most iconic venue in the heart of Sydney. They can work for other venues as well. Wherever that is, they’ll work hard to make sure you have something matching your wedding theme. One of the strong suits of Best Buds is the combined experience of their florists. It totals 50 years among them, and they respect their senior wedding florists who know what works and what doesn’t. To bring just the right aesthetic to your wedding venue, you need someone who’s worked decades in the business to create the right blend. Their renowned colour matching plays a big part. At the same time, they work on other levels. When you bring musical entertainment in to your venue, how do you match it up with the decorative design? It’s there where we can become your consultants Lily Road. Working to create a meaningful theme takes an artful mind to put it all together. You’re going to need consultants to help you through this. While Best Buds helps with your floral displays, we’ve worked with them to know what music works well with their aesthetic. Music and imagery work in tandem with one another. We’ll work closely with you to show the connection and bring in the perfect wedding band or singer based on the theme you want. In some cases, it may pertain to the season since Best Buds offers unique flower varieties based on the month. Take a look at their most recent list of flowers for the summer. The theme you want might go beyond season and relate to something more personal. Going to the work of setting up a massive floral display is going to demand you bring in the best singers. It’s not always easy to find them from other booking agencies. You don’t want a mediocre singer performing around the powerful flower displays within your venue space. We assure our wedding singers are the best in the business. This includes backgrounds singing on popular TV shows and with major international artists.